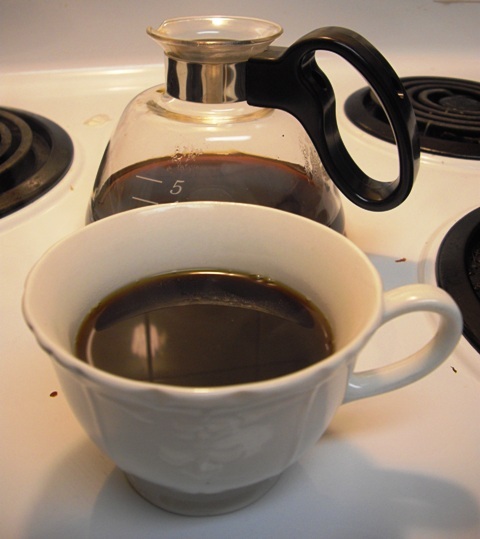 I’ve made coffee all sorts of ways – from old fashion perked to press. I’ve found this method gives me the best tasting coffee every time. My parents used to perk their coffee. That’s how I was introduced to the world of coffee. It was the most bitter and strong stuff you could imagine. No wonder I have hair on my chest. 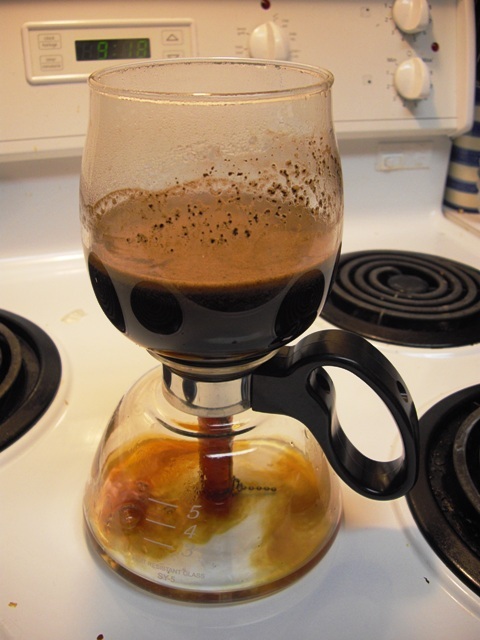 I moved to university and was introduced to drip coffee and espresso, cappuccino and other things as well. In graduate school I lived off espresso – mugs of it. With a thesis and kid to keep going – I needed it. 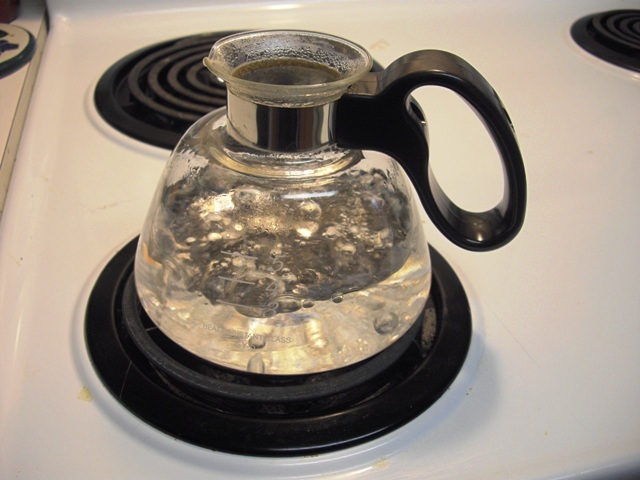 For years, like most people in Canada, I relied on the drip coffee method. 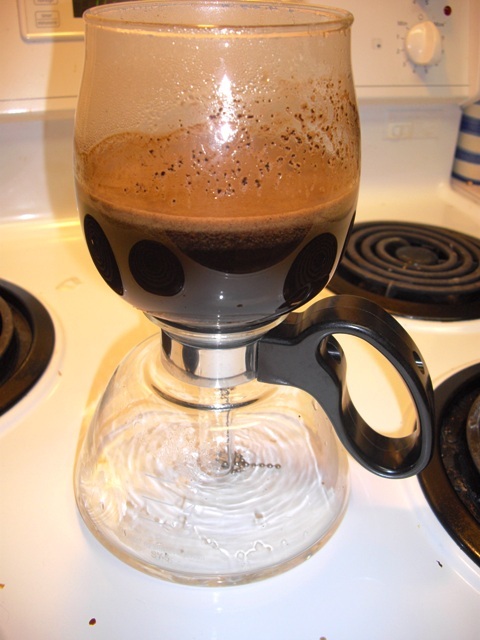 My son-in-law introduced me to the concept of vacuum Siphon coffee making – I bought one and am convinced it is the best way to make a consistently smooth and tasty coffee of Joe. The coffee making set consists of four parts: the bottom pot, a top container that has a siphon tube attached to it, a gasket seal, and a filter which in my case is made of cloth. I heat the pot of water to just below boiling. I place the top container with coffee on the pot making sure a seal is made. The air has no way to escape at this point. So it expands, pushing the heated water up through the tube into the top container, through the coffee. 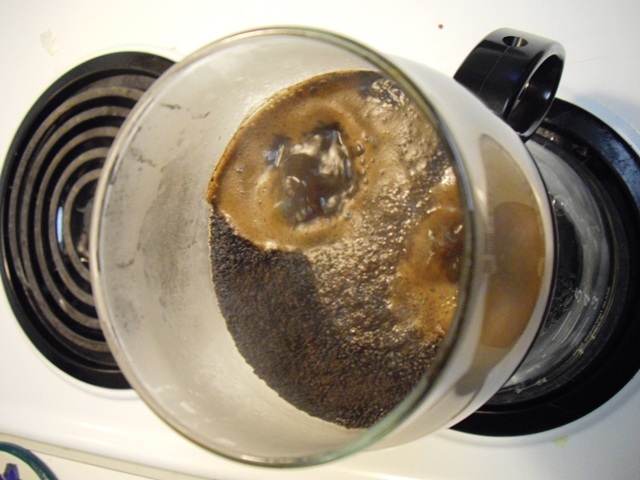 It looks like the coffee is boiling – but it isn’t. 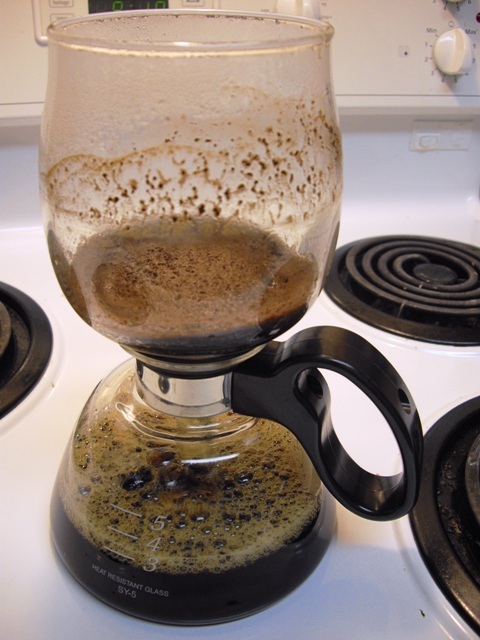 This is the air finally bubbling through the coffee. I stir the coffee to ensure that all the grinds are evenly mixed with the water when all the water is in the top container. You can see the coffee crema forming. I take it off the element after 30 seconds. The pot starts to cool and a vacuum is created. 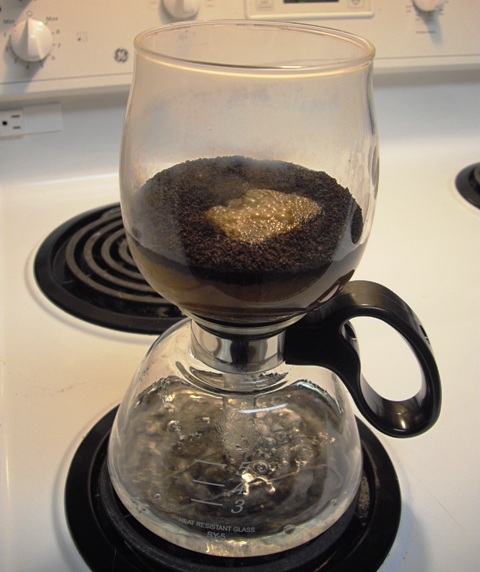 The brewed coffee is sucked back down into the pot through a cloth filter within 15 seconds of being removed from the element. Once all the liquid from the top container is back in the pot, air is sucked back in. Aerated water always tastes better – so it adds to the flavor. After that has settled, I break the seal and enjoy my perfect cup of coffee.